While you may be an expert at running your business, you are not likely as well-versed at moving. Commercial moving companies have years of experience relocating offices, so they know exactly what it takes to do so. Hiring trusted professionals to pack, transport and delivery your company's furniture and associated equipment expeditiously and safely is a smart move and will ensure the move goes through without a hitch. Logistically, there is a lot to consider when organizing an office move. What is staying? What is going? Do the computer screens get wrapped up so they do not break, or does that only apply to the desk lamps?! Professional movers know all the answers and will keep your items organized throughout the entire process, from packing to unpacking. Improperly packing and transporting your workplace furniture and equipment can result in items being damaged while in transit, which can be costly. Professional office movers know how to safely pack your items to keep them safe while in the moving truck. It is also important to consider your own safety. Attempting to lift or move heavy furniture can be risky if you are not sure what you're doing, resulting in injuries to yourself and/or employees. It is best to leave it to the pros! The planning, packing, moving, unloading and unpacking process can easily consume hours, if not days and weeks, taking away valuable time you and your employees could be using to run your business. With the help of a professional moving company, this can be accomplished in half the time, enabling you to keep your priorities where they ought to be. Moving is time consuming, and if you have not done it before, you may not understand exactly just how long it will take. A move that takes longer than expected can decrease productivity, and possibly even affect the success of your business. A professional moving team will stick to a specific timeline—ultimately saving you time and money! The proper equipment is critical to ensuring a smooth relocation. Professional office movers are equipped with the right tools for the job. This includes: packing supplies, moving vehicles, and specialized gear to safely and effectively move all of your things. Talk about peace of mind! Whew. While some may think moving their own office is more affordable, hiring a professional moving company might actually be the more budget-friendly option. The cost (not to mention time) of packaging, vehicles, other related expenses, and unexpected complications, can really add up. Once again, it is smarter, and possibly way cheaper, to leave it to the pros! Serving the New York City area, Steinway Moving & Storage understands that your business is your livelihood, and possesses the knowledge and experience to your business quickly and efficiently. We pair you with an expert project manager, moving coordinator, and expert moving crew, to ensure your items are transported safely. 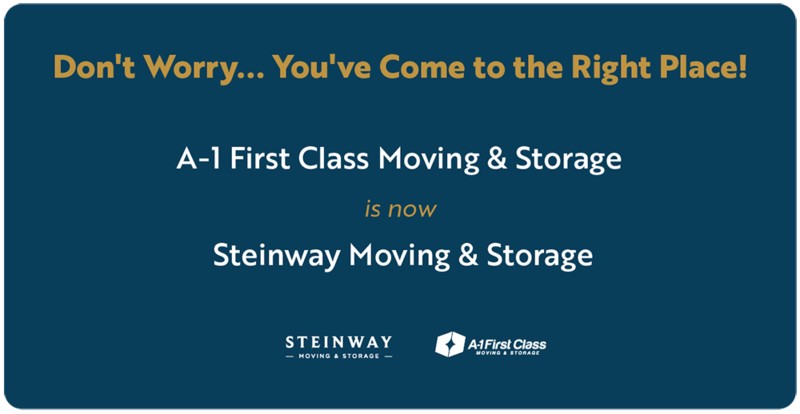 With Steinway Movers, you can trust your business is in the right hands.